Jonathan Boles is from Possumneck, Miss., and a transfer from Holmes Community College, where he graduated as Valedictorian. He is a nontraditional student, since he is 25 years old, and he is married to his beautiful wife, Kelli Boles. Jonathan is a Junior majoring in English here at Delta State (DSU), and minors in Philosophy. 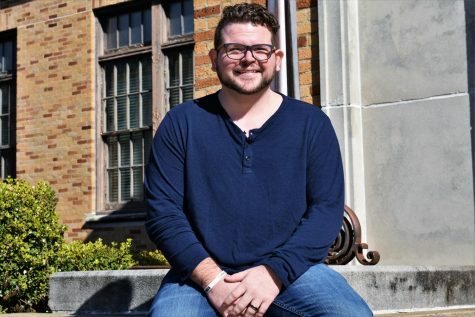 He interns for the student ministry at First Baptist and tutors in the Writing Center. His hobbies are photography, Netflix, video games and making music. Don’t take him lightly, though! He is a 2nd-degree black belt in Tae Kwon Do. When he graduates from DSU, he will either go to Seminary or get his MA in English.